The twelfth century in Europe saw the growth of Gothic architecture out of the Romanesque style of the Normans. It has come to symbolize what most of us imagine when we think about the High and Late medieval period in Europe. Pointed arches, mullions, and tracery create strong lines and patterns. The trefoil design comes from a wooden railing found in a Nuremberg house build in 1516. 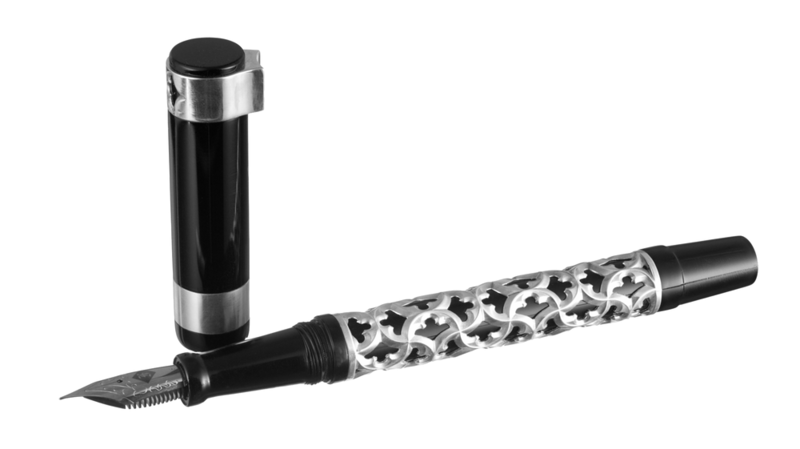 This gothic pen is a continuation of my collection of architecture inspired pens. 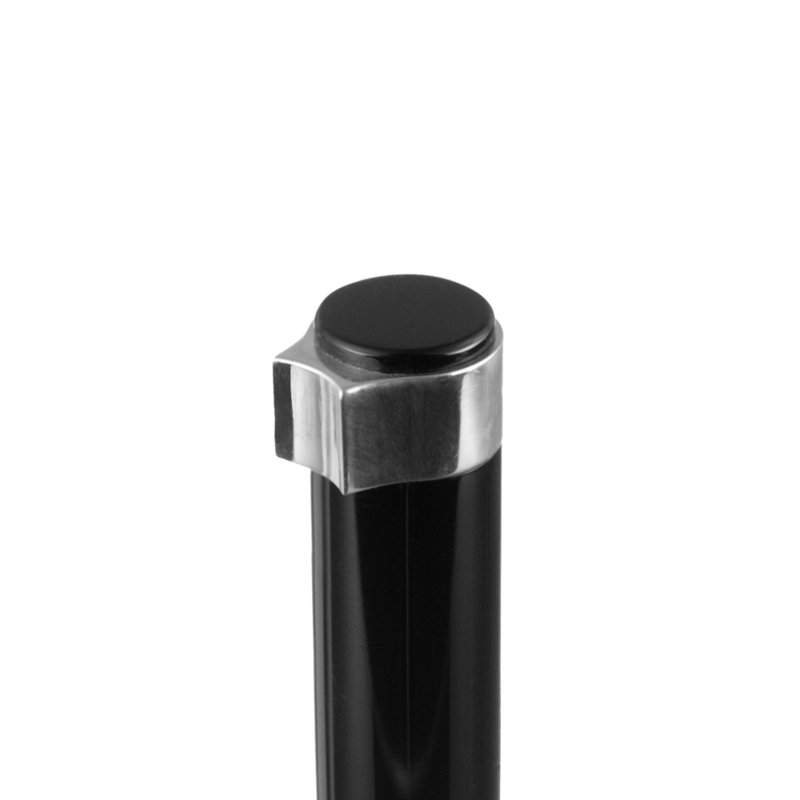 The base of the pen is polished black acrylic, overlaid with Argentium silver. The clipless design features an Argentium rest to allow it to sit at a comfortable angle on your desk. The centre band features engine turned accents.